You are here: Home / All posts / Will China and India lead on global climate action and environmental protection? Following the Rising Powers and Interdependent Futures conference in June, Dr Mark Robinson of the World Resources Institute looks to what needs to happen for China and India to be global leaders on addressing climate change and environmental protection. June 1st 2017 marked a decisive shift in global leadership on climate change following President Trump’s decision to withdraw from the Paris Agreement, signed by all bar two countries in 2015. This decision has wider ramifications for global politics and for national commitments to keep global warming to less than 2 degrees Celsius. China seeks to assume the political mantle for global climate leadership, backed by financial resources and massive investments in renewable sources of energy, especially solar power. It perceives huge growth potential in global solar and wind markets. India has ambitious national commitments on solar energy and curbing fossil fuel use, but with fewer ambitions on the global political stage. Projected declines in coal use in China and India are likely to reduce growth in global carbon emissions by roughly 2-3 billion tonnes by 2030 compared to forecasts made a year back. Coal-fired power stations are increasingly uneconomical compared to solar power. In May, India abandoned planned investments in coal-fired power stations with a combined capacity of 14GW, equivalent to the whole of the UK. Both countries are likely to achieve national climate emissions reductions ahead of target, potentially serving as a significant contributor to reduced net global emissions. Market forces favouring solar and wind power threaten to leave the US behind, with the continued decline of coal, whereas China wants to benefit from new energy markets, and plans to invest US$360 billion by 2020. This would take the proportion of renewables in domestic energy to 50% by then. India expects 40% of its energy needs to be met by renewables by 2030. Meanwhile, the global renewable energy market is expected to reach US$13 trillion over this period, spurred by national commitments under the Paris Agreement. In pursuing these ambitious climate and energy policies India and China have an opportunity to lend visible support to the German G20 Action Plan on Climate and Energy Growth, which will be discussed at the G20 Summit in Hamburg this week. But progress on climate action is not yet matched by comparable leadership on domestic environmental policies; deep problems of air, soil and water pollution with excessive use of pesticides and fertilisers are causing chronic health impacts in both China and India. Public pressure is building and both governments are looking to the experience of the US and other countries in successfully addressing such problems. Over the past five decades, the US has excelled in tacking environmental problems through sustained bipartisan policy responses. But this is now under threat. The US withdrawal from the Paris Agreement marks the culmination of a series of domestic policy reversals under the Trump administration on climate and environment. These include overturning the Clean Power Plan (designed to reduce Co2 emissions from electrical power production), protection of air and water, and massive budget and staffing reductions for the Environmental Protection Agency (EPA). It is therefore ironic that US global leadership on environmental protection is now looked at for inspiration to inform domestic environmental policy in China. One important lesson from the US experience is the power of public pressure and the media to galvanize government action. Publication of Rachel Carson’s Silent Spring in 1962 drew public attention to dangers of the health and environmental risks of unregulated pesticide use. This spurred massive media coverage which in turn spurred the creation of the EPA under President Nixon in 1970. A similar tipping point is possible in China. Documentary film maker Chai Jing released Under the Dome in 2015, which was openly critical of failures to tackle air and water pollution. It received several hundred million views before it was taken down four days later. Public discontent is growing and the Chinese government recognises the urgent need to respond. There are important lessons for China from the US experience, with air and water pollution rising to top of domestic policy agenda, fuelled by public protest and negative media coverage. Government is recalcitrant on the release of public information on air, water and soil pollution. Prompted by monitoring by the US Embassy in Beijing, China now permits the public release of air pollution data in a growing number of cities and outside thousands of factories. China and India are both signed up to Principle 10 of the UNEP Bali Guidelines which was adopted in 1992 as a part of the Rio Declaration, which states that: “Environmental issues are best handled with participation of all concerned citizens, at the relevant level. At the national level, each individual shall have appropriate access to information concerning the environment that is held by public authorities, including information on hazardous materials and activities in their communities, and the opportunity to participate in decision-making processes. States shall facilitate and encourage public awareness and participation by making information widely available. Effective access to judicial and administrative proceedings, including redress and remedy, shall be provided. WRI’s 2015 Environmental Democracy Index shows that China performs reasonably well on the right to information and public participation in decision making, but not as strongly on the rights to redress and remedy, as compared to India, which has the legal infrastructure in place for this purpose. China now acknowledges the need to empower citizens to demand information and hold officials accountable for lack of action, through the law courts and other measures. Since the introduction of the new Environmental Protection Law in 2015, China’s courts have accepted 189 public interest environmental cases, mostly brought by environmental NGOs. The Ministry of Environmental Protection, which is responsible for implementation of the new law, has intensified local inspections of heavily-polluting industries and is now actively collecting public complaints on environmental issues. As noted by the Economist, “Openness would enable the Chinese to understand the risks they face, and to hold officials to account for failing to stop polluters from poisoning them”. Global leadership on climate action and environmental governance means living up to the spirit and practice of citizen engagement and regulatory enforcement, and not just capitalising on the potential economic returns. Mark Robinson is Global Director, Governance, at the World Resources Institute in Washington, D.C., a leading global research organization working on sustainable development with offices in seven countries. 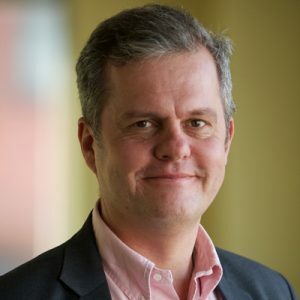 Mark previously held senior leadership positions at the Institute of Development Studies, The Ford Foundation, and the Department for International Development (DFID).